Although it isn't the only cause of bloating, your diet can affect the amount of gas in your stomach. Keeping a food diary can help you determine which foods are most likely to trigger gas and bloating for you, as this varies from person to person. Limiting these foods or avoiding them altogether can help keep you feeling your best. Many of these foods are very nutritious, so avoid only those foods that have actually caused you to become bloated, rather than avoiding all of the foods that have the potential to do so. Avoid drinking soda or alcohol. Don't eat spicy or fatty food, and skip the processed meats. Apples, peaches and pears, as well as juices made from these fruits, can cause bloating because of their high fructose content. Anything containing high-fructose corn syrup is also best avoided. Dairy products can cause bloating if you're lactose intolerant. 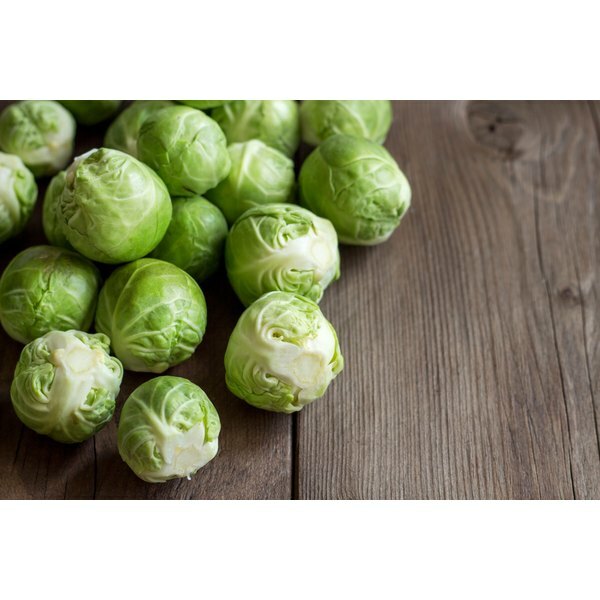 Whole grains, beans, onions, asparagus, Brussels sprouts, mushrooms, broccoli, cauliflower, cabbage and artichokes are all high in fiber, and thus they can cause bloating, especially if you eat a lot of them. Some people also have problems digesting sugar alcohols, including mannitol, sorbitol and xylitol, which are found in some sugar-free candies and gums. Prunes, raisins, pickles, cucumber, bell peppers, turnips, radishes, rutabaga and sauerkraut can also bring on bloating in some people. BabyCenter: How Can I Relieve Bloating and Indigestion?